John Fitzgerald is a periodic contributor to chrismarker.org, and we would like to extend our gratitude to him for crafting this piece for us. Previously he has written In a Train of the Métro, Passengers and A Grin Without a Cat, Lincoln Center. A question that arose toward the end of my recent visit to Peter Blum Gallery in New York to view the Chris Marker “Koreans” exhibition is illustrative of the veil of mystery that hangs over so much of his life and work. 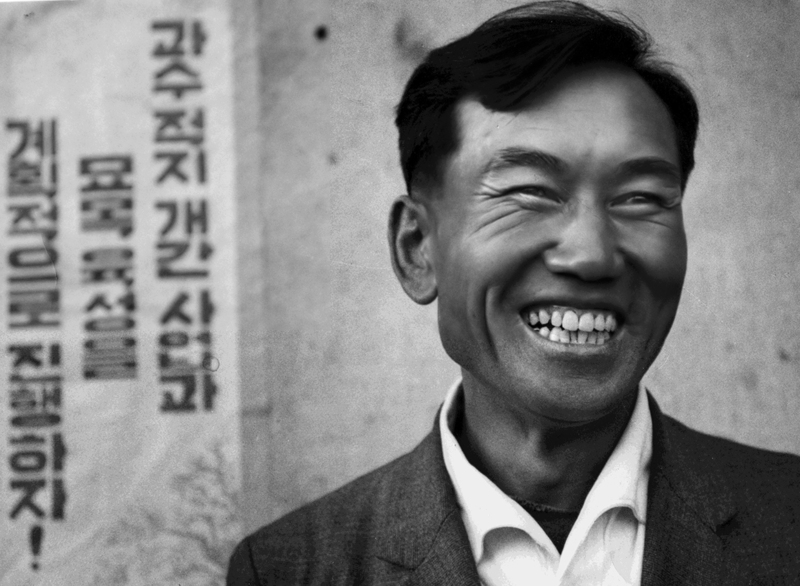 Having studied the photos of individual North Koreans hanging on the gallery walls – photos that I had long believed had been incorporated into a film that he had done on the subject – I then came upon a book resting against the wall with all of the same photographs and with an accompanying text written in Korean. Beside this book was a smaller paperback, including an English translation of the text, but without the photographs. So were these pictures in the gallery photographs that had been incorporated into a film? Or were the photographs themselves the main body of work, of which the book was merely a compendium piece? Or was the book that I was holding in fact the principle artistic expression – the words and images playing off of each other, each giving added meaning to the other? 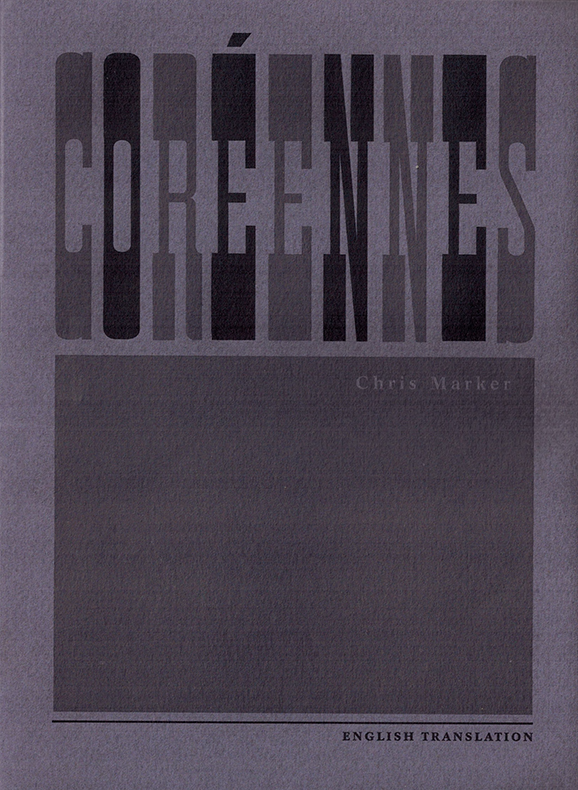 The gallery attendant helpfully added clarity, noting that the photographs originally appeared in the book Coréennes and that what was on display in the gallery were reproductions. What was not in the exhibition, then, was the accompanying commentary that Marker had included in the original book. (An added note of confusion came when I pointed out that the text was written in Korean – a language I was not aware that Marker had been conversant in – and we agreed that the actual text must originally have been in French before being translated into Korean.) She also noted that the photographs on view in the gallery were digital photographs. Marker had digitized, and in some cases altered, the original 35mm photos that appeared in the book. Between the photographs being set apart from the original text that accompanied them, the digital alteration of the original images, and even the added confusion about what language the text had originally appeared in, the various levels of removal was reminiscent of the first time that I had been introduced to Marker’s work at a screening of Sans Soleil: a French film, dubbed in English, and largely about the Japanese, in which an unnamed woman seems to read letters she has received from an unnamed man across great gaps of distance and time. In everything that Marker touches, there are layers. 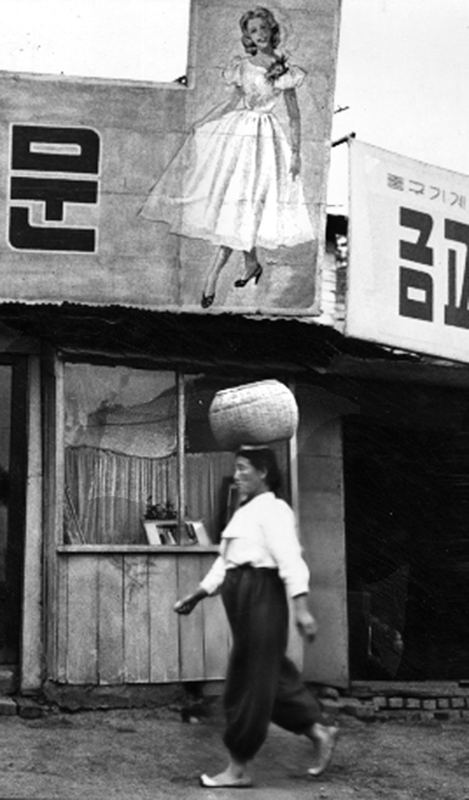 A great deal of Korea strolls by on Koreans’ heads. Like those salon magicians hired round the turn of the century – barely introduced beneath a false name before they would begin juggling with the furniture to entertain the guests – the Koreans like to set objects dancing. Baskets, earthenware jars, bundles of wood, basins, all escape the earth’s gravity to become satellites of these calm planets, obeying exacting orbits. For the Korean street has its cycles, its waves, its rails. In this double décor, where hastened ruins and buildings still aborning strike a second’s balance of incompletion, the soldier who (foresightedly) buys a civilian’s sun hat, the worker leaving the construction site, the bureaucrat with his briefcase, the woman in traditional dress and the woman in modern dress, the porter carrying a brand new allegory to the museum of the Revolution with a woman in black following step by step to decipher it – all have their route and precise place, like constellations. 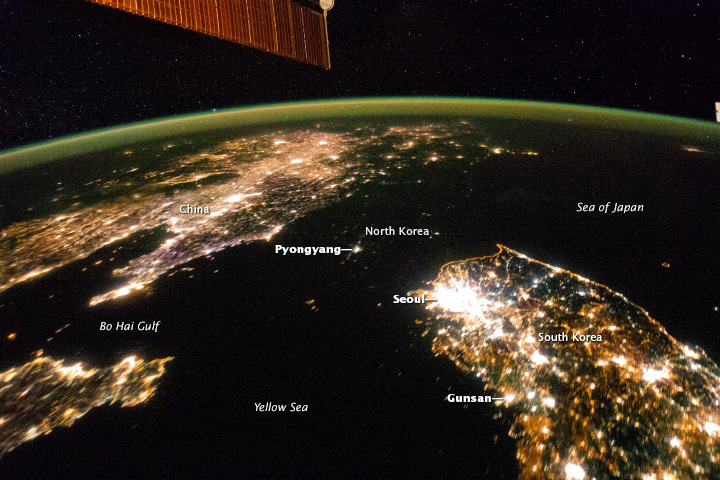 In a short notice about the exhibition recently published in The Wall Street Journal, the reviewer’s principle observation comes in the last sentence: “All in all, it looks normal.” The “it” that the reviewer is referring to is North Korea, and, confronted with images of people dancing, practicing ballet, walking to the market, or posing for a photograph, it does seem rather unremarkable. Given the West’s perception of North Korea as an isolated rogue state most commonly associated with newsreels of long columns of soldiers marching in machine-like precision while parading ballistic missiles down the avenue, there is unquestionably inherent value in an exhibition of photographs that shows them in their everyday life, images far removed from the militaristic propaganda with which we are all so familiar. Such images are nearer to the Petit Planète series of travel books to which Marker contributed and that went against the genre’s propensity to Orientalize far-off places. Standing in the gallery, we are not witness to the wretched shackles of communism or the visible consequences of a morally-depraved regime depriving its owns citizens of food. 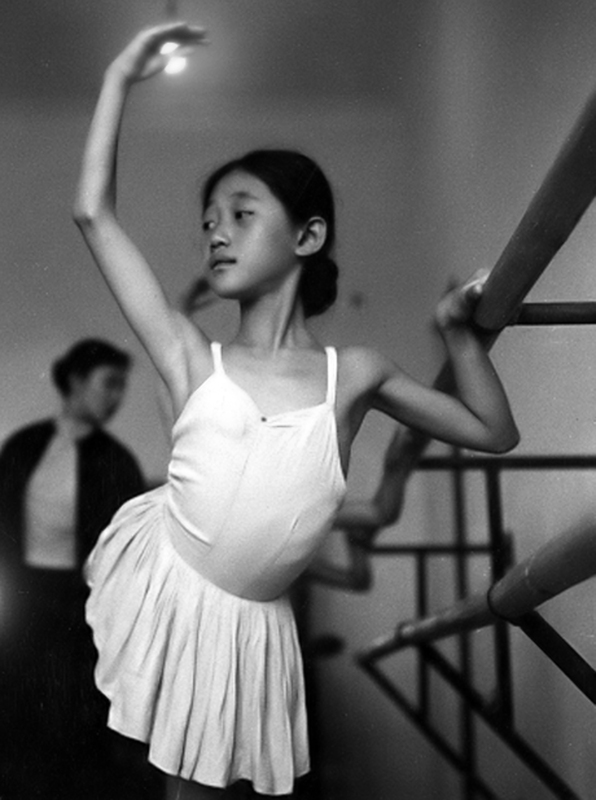 The little ballerina in Untitled #27 more closely calls to mind the world of Edgar Degas than Kim Il-sung.